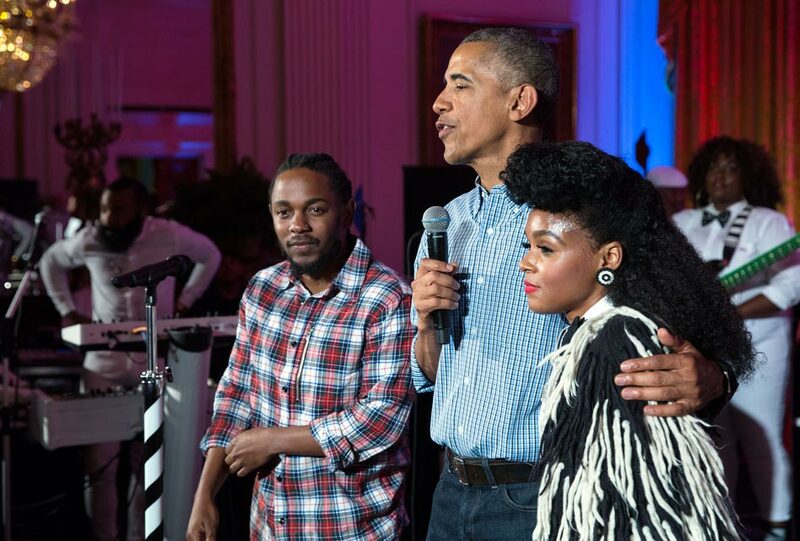 The President addresses the crowd on Independence Day following performances by Kendrick Lamar and Janelle Monáe. 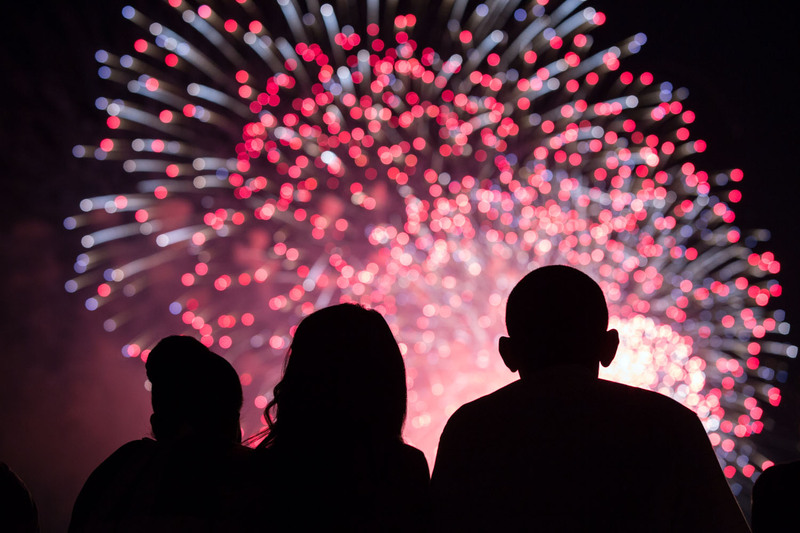 In this week’s address, President Obama wished everyone a happy Fourth of July, and recognized our service members, veterans and their families for their service to our country. The President commended First Lady Michelle Obama and Second Lady Dr. Jill Biden on the most recent milestone of their Joining Forces initiative. 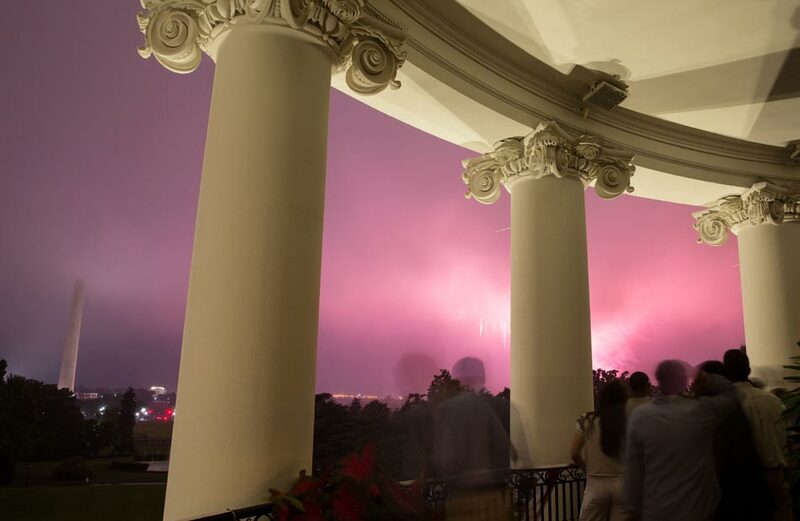 The President and the First Lady celebrated the Fourth of July by hosting military heroes and their families for an Independence Day celebration with a barbeque, concert and a view of fireworks on the South Lawn. The National Mall fireworks as seen from the South Lawn of the White House. July 4, 2015. 1. "One of the best perks about being President is anyone will hand you their baby." 2. Fun and games on the South Lawn! 3. The VP visiting the troops in Iraq. 4. 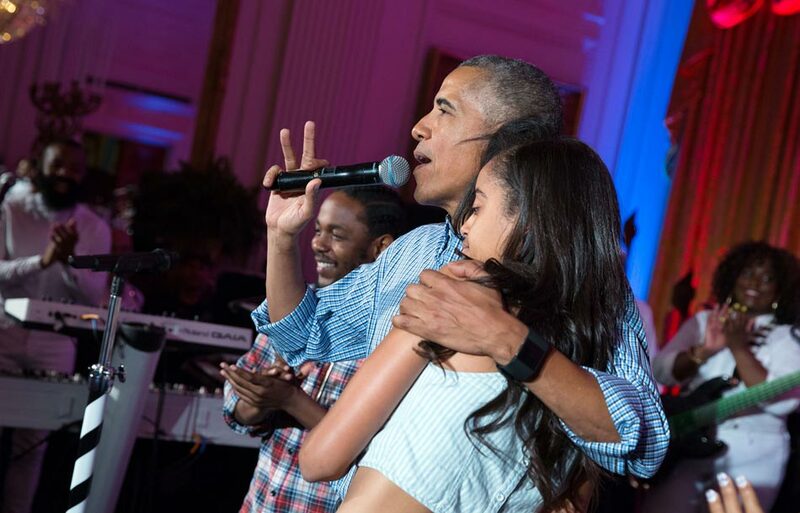 POTUS and FLOTUS cutting a rug. 6. Jimmy Fallon being Jimmy Fallon. Jimmy Fallon can't believe he's at the White House on the Fourth of July. Watch part of his stand-up performance from that evening. 9. And saluting new American citizens. President Barack Obama listens as Secretary of Homeland Security Janet Napolitano administers the oath during a military naturalization ceremony for active duty service members in the East Room of the White House. The National Mall fireworks as seen from the South Lawn of the White House.